Yesterday S. and I took our inflatable paddle boards out on the Chattahoochee River above the dam. We started at the Nature Center and paddled to Morgan Falls park, where the dam is. We paddled about three miles there and back. Because of the dam, there is very little current, a good place for S. to learn the basics of paddling. He fell in once, but only because he wanted to see if he could go faster by standing farther back on the board. Laura, the woman who taught me the fundamentals of SUP and SUP yoga, said to always stand on the “sweet spot,” the very center of the board where the handle is. The July sun cast a withering heat over the afternoon sky. Storm clouds gathered here and there. Pines and oaks greened the banks in a hazy blur. Water rippled like melting glass and shimmered on outcroppings of sandstone cliffs that jutted over the river. 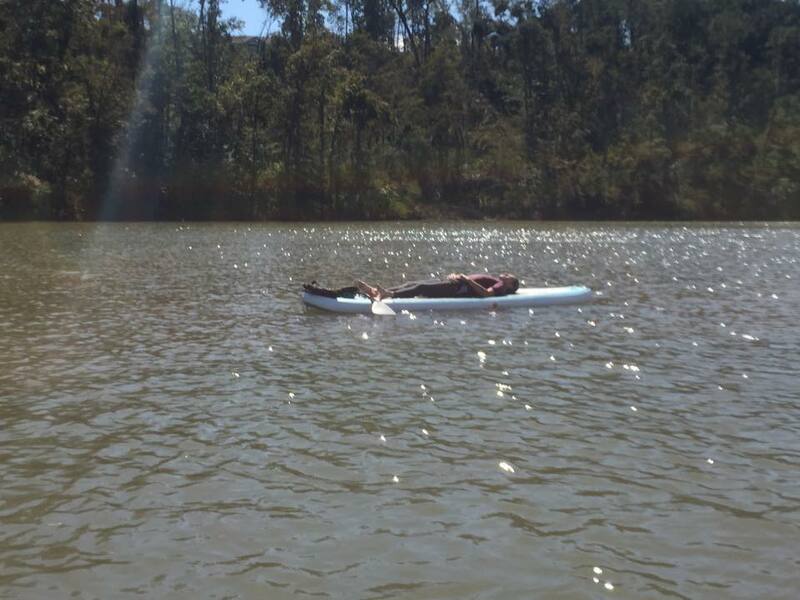 We paddled in silence, greeting fellow boaters as we passed them: a mother kayaking with her son, who wouldn’t hear of him jumping off the cliffs with the older boys; a young couple who had been floating downstream in an inner tube for five hours; a young man who was practicing headstands on his board. Paddling on a lake feels a lot like walking. Time slows down. Once I got the hang of balancing on the board, I could pay attention to the horizon, the ducks swimming nearby, the blue heron soaring toward a nest high up in a pine tree. Maybe it’s because I’m entering old age, or maybe it’s because of experience, maybe both, but I am learning to slow down with everything I do. By slowing down I accomplish more, paradoxically. When I ease up my pace, my heart softens. With a malleable heart I open myself to the world. I become porous. 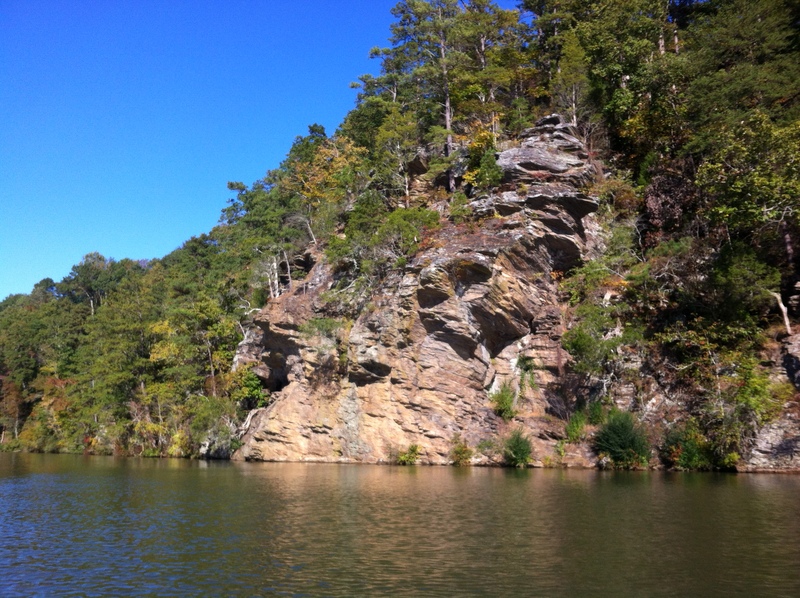 Cliffs near Morgan Falls dam, October 25, 2014. SUP yoga class above the dam near Morgan Falls, October 18, 2014. You are not “entering old age.” You can write that when you’re 75. Also, I liked your pictures, and am glad you had a nice time.